Cooking with fresh cranberries at this time of year just feels right. Their vibrant ruby color creates a festive mood. 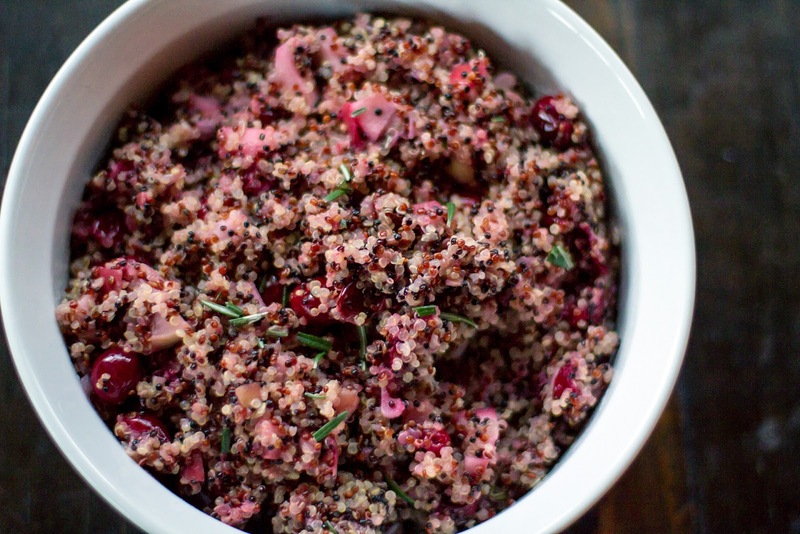 In this case, paired with tri-color quinoa, apple, and a touch of honey, they help create a healthy, protein-packed dish that is not only a delicious side dish for your dinner or holiday table but also makes for a great light lunch option too. What I love most about fresh cranberries in addition to their beautiful color, is their tartness. The key is to balance the pucker-factor. In this case, the acidity of lemon juice and sweetness of honey create a nice balance. Speaking of honey, I used an orange-essence infused honey by Honey Acres from this month's Degustabox. It actually came as one of those honey straws you would typically serve with hot tea or in a to-go situation. There are a bunch of essence-infused honey straws available in addition to the orange flavor such as lemon, chocolate mint, raspberry, and clover. It's pure raw honey with real extracts, not dubious "flavoring." I decided to use the orange honey to heighten the citrus notes but not go too lemony. If you don't just happen to have a honey straw around to make this dish, no problem. One honey straw is approximately 3/4 teaspoon of honey. And yes, traditional honey will do fine as a substitute. 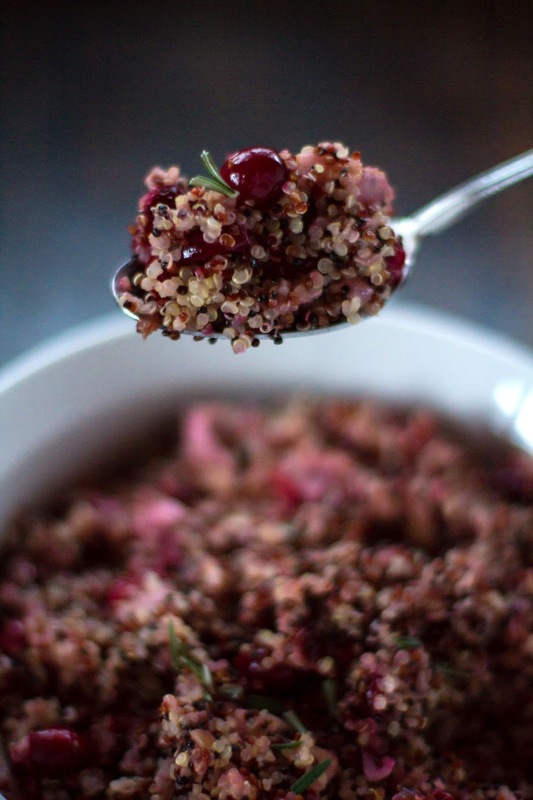 In a medium-sized saucepan heat 1 cup water and 1 cup of dry quinoa. Bring to a boil. Cover. Reduce heat and simmer 10 minutes or until all the water is absorbed. Remove from heat and set aside. In a medium sauté pan, heat 2 tablespoons of olive oil. Add the onion and garlic. Sauté until the onion becomes translucent. Add the apple and fresh cranberries. Cook, frequently stirring around the pan, until the cranberries just burst. In a large bowl combine the cooked quinoa and fruit mixture. Pour the lemon juice over the top. Season with rosemary, salt, and pepper. Stir well to combine. Drizzle orange-infused honey over the top and serve warm or at room temperature.